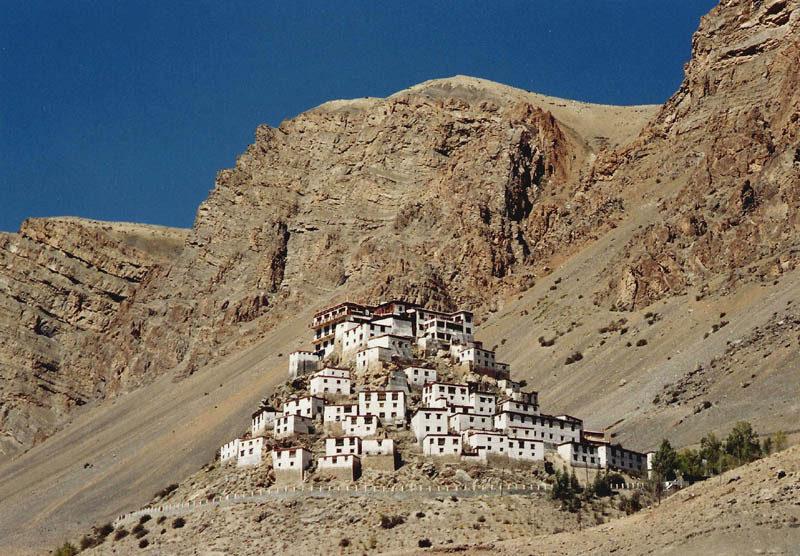 North India Travel to Nagini located in Himachal Pradesh for fly-fishing and exotic valley views. Fly-fishing, for those who came in late, is an angling style in which an artificial ‘fly’ – a combination of hair, fur, foam, wires and the like – is deployed in place of live bait to catch fish. The guide who accompanies you on your fly-fishing session from The Himalayan Trout House scopes out vantage points from which to cast the line along the rocky bank of the river. 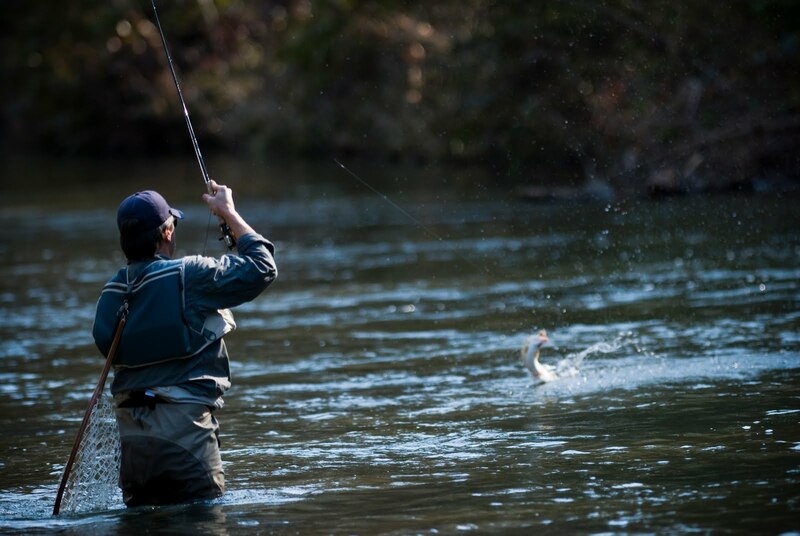 Then, he expertly entices the fish, catches it, gently detaches the hook and releases it back into the river, causing it as little harm as possible. The guides are all great conversationalists with deep insights into life around the water, on the nature of the glacial river, the trout and insect fauna as well. They each demonstrate a fine-tuned ability to identify the birds that flit about. So here’s a fly catcher, there, a leaf warbler…. But losing yourself to the fish and birds is only half the story. Several scenic excursions are conveniently accessible from the resort. It’s a one hour drive from Nagini to Baggi (19 Kilometers). The next hour is spent climbing, first up stone stairs, then up a rather steep slope en route to Chehni Kothi. There is both panic and opportunity in this elevated but lovely climb. The steepness of the slope means that you must stop for breaks, and the Baggi Shringa Rishi Temple – with its colorful doors and spectacular valley views makes a charming rest stop. Coming upon Chehni Kothi is momentous. The stone tower looms like a phoenix over an entire village speckled with ancient wood-and-stone homes. 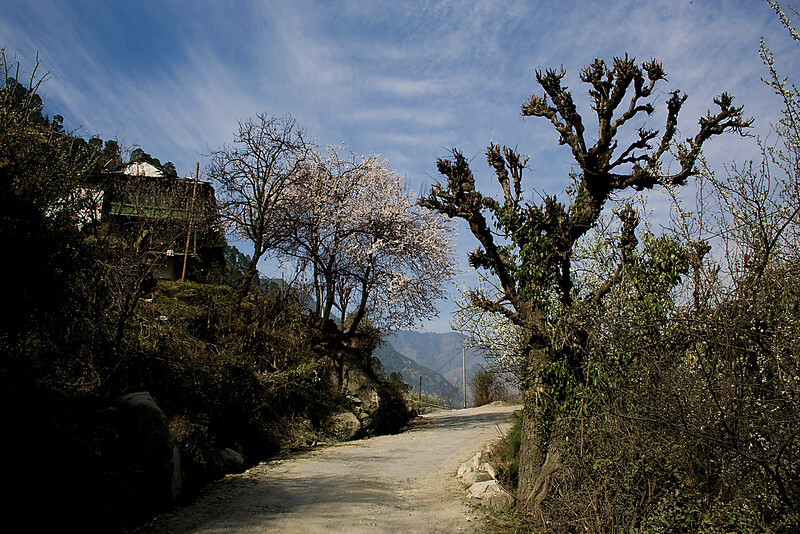 Another journey to undertake is the drive from Nagini to Jalori Pass (27 Kilometers). From this high point (3,223 meters) of the region, rife with local teashops, the entire landscape of snow-capped mountains and lush green valleys makes for a breathtaking view. A two-hour trek from Jalori Pass will bring you to the Serolsar mountain lake. This is a relatively easy sojourn through oak forest, with sun and blue sky filtering through the tree cover, past shepherd’s homes and trees that have trunks scooped out just enough for you to stand within. You will come across fellow travelers making their way to the temple beyond the lake, always ready to stop for a chat, and a tiny café, just before you reach. dishing out cups of hot black chai with honey and lemon to re-energise aching limbs and flagging spirits. And no matter how exhausted you are from the two-hour walk here, the lake will de-stress you almost miraculously. The changing colors of the water as the mist alters the landscape, the cawing of the ravens from the shadowy trees in the distance…all these will make you feel as if you’re in the middle of a Game of Thrones set. But more than the spectral quality of the lake, or the fishing, its the fact that you’ve come away from life as you know it that transforms you.